Danny Lee has at all times been thoroughly professional, helpful and easily got to grips with the type of speaker we were after. Danny has kept us thoroughly informed throughout, is ALWAYS prompt to respond which has been hugely appreciated. Perfect. Always providing quick response and quality service, putting us at ease. Very pleased with the service provided by JLA - professional, polite & efficient! Incredibly helpful, very efficient and we will be getting all of our speakers through JLA from now on. The service we received from JLA was excellent, it has taken quite some time to find someone who fitted our budget and was available and Danny has worked very hard to help us be able to put on this event. The service from my contact at JLA was at all times professional and efficient and I would not hesitate to recommending JLA to other conference organisers, we would certainly use them again in the future. My contact at JLA was Emily Collier who was a great help in helping us secure Martin Bayfield to speak at our event at late notice. It is the first time I have had to book a celebrity and Emily helped me with every step of the process keeping me updated at regular intervals. I have already recommended JLA to our PR manager for future events. Always available. Always helpful. Would use again.. Fantastic. Very helpful, supportive and accommodating. Arranged all transport and accommodation. Obtained two signed books for LMW which was highly appreciated. Forwarded the presentations in a timely manner. Assisted in arranging conference calls before the event. Excellent delivery of information - kept in constant contact, and provided contact details if needed. Followed up after event to check all went well. Overall, brilliant service. The service from JLA was excellent - they managed to find us someone very appropriate at the right price despite a tight deadline. Fantastic as before. Kept well informed and was a pleasure to work with. Anke, thank you for your quick reaction last Thursday to the "new situation" that arose when our moderator had to cancel his participation at the Global Green Growth 2010-conference in Copenhagen. You did a fantastic job all the way through. "Thanks to your ability to match presenter with audience (and the fantastic relationship you have with your speakers), the client was ecstatic." "JLA's professionalism, creativity and dedication enabled us to deliver a fantastic and quite daring line-up." "I was stuck between a rock and a hard place, but we got there thanks to your hard work, insight and advice on the choice of speakers." "I thank you for your professionalism, the fact that we had little in the way of phone conversations is indicative as to how seamless it all was." "JLA was extremely cooperative, efficient and helpful." It is never easy deciding upon a speaker but JLA's sound advice, good knowledge of the speakers on their books, professionalism and approachable manner made our event a huge success. Nothing was too much trouble. I have been working with JLA for nearly 3 years and they have never let me down. They always match my brief to presenters extremely well so I know together we will produce a fantastic event. My special thanks go to Jeremy Frewer for his hard work and dedication. Working with JLA is a sheer delight. They understand a brief, know which speakers to suggest and the after care is wonderful.Here's to the next time! This is the third time I have used JLA and each time they get it just right. The speakers always match the brief and and JLA's advice and professionalism are second to none. Thank you once again. From my first conversation with JLA I knew I'd found a professional organisation. The advice they've given me on choice of speakers has been invaluable. Special thanks to Ian Hawkins for being extremely efficient and a pleasure to work with. I would just like to take the opportunity to thank Anke for all the help and effort she has given us in sorting the speakers for the 2008 BSRIA Briefing, this year has been particularly difficult but she has been brilliant. We have now worked with Anke for more years than I care to remember it is always a pleasure and I hope that it will continue for many years to come. There seemed to be lots of conversations back and forth about the artist’s requirements. It might have been easier to have spoken to him direct. I have found JLA to be very responsive in my dealing with them. They always had fresh and original ideas to offer and were very patient with the varied criteria we insisted uopn! Recommended. The service from JLA was great, signing off material in a timely manner (bearing in mind our tight deadlines). I am extremely pleased with the service provided by JLA. They have been extremely helpful throughout and were always quick to respond to my queries/questions. JLA ensured that our brief was met. Our JLA contact was easy to speak to and if unavailable rang back promptly. I was impressed that you understood the urgency for us of securing the right comic, right from the outset, and you worked full out to achieve this. You were understanding when our requirements changed a bit during the process and also you weren't afraid to try to get the comics concerned to give us a charity rate, which we really appreciated. JLA are an excellent organisation that i would have no problems in recommending to other professionals. The advice that i have been given has been invaulable. Found JLA to be very efficicient and professional in sourcing some great speakers and they keep me informed on speakers new on the circuit. I went to my first breakfast meeting last week and I was most impressed with the staff you employ and also with the quality fo the speakers. Both of them I found very interesting and I even bought the book! Once we have SA Chamber of Commerce up and running we will definately use your services for functions.I would like to say also maybe we could touch on the issues of tourism worldwide with the economy downturn. I know we heard about the FMCG markets and retail Clothing industry but not tourism which is formost in most peoples minds when trying to relax?! Excellent range of speakers for every occasion. Well marketed in our experience over at least last 20 years. JLA was extremely accommodating. There were a couple of times where I was nervous my information/requests were not going through while my main contact was away but there was no need for me to panic. I like JLA’s flexibility and would like to note that Simon King provided a wonderful service and JLA will certainly be my first choice the next time I am in need of a speaker, artist or presenter. I would also like to commend you on your new index, very informative indeed. JLA were very helpful especially in assisting in brokering a suitable payment for the speakers. Where to start...? They're just the best. I'd trust them to always give me scrupulously fair advice and well negotiated fees and terms. Great people doing a great job. Excellent, as always. JLA was very quick to find a solution for us, very responsive, and open to negotiation. JLA proved to be very efficient in the response times and general support. I was able to speak with our speaker prior to our conference, which meant I was confident that the presentation would be suitable and meet our brief. Excellent – first class, thank you and your team for your excellent service as you kept me informed throughout and as ever no problems at all. After finding JLA at Confex – found them/Ian a pleasure to deal with. Responsive and supportive to all my enquiries. Wouldn’t hesitate to use JLA again in the future and indeed recommend them to colleagues to use. JLA were very good. Very prompt in all the dealings we had with them, thorough information and responded to my initial brief with a good choice of presenter. I never had to worry about a thing with this part of the event. Our contacts with JLA were a pleasure to work with! Renate steered us in the right direction when we were unsure who would be best as host for the event this year. She obviously had a really good understanding of who would be right for the audience because Jeremy Vine was perfect! We really appreciated all your help finding a suitable speaker for our Investor Meeting. We were very impressed by the various options you were able to provide, your prompt responses to enquiries and all the advice you gave. Our guests thoroughly enjoyed Benedict Allen's insights. Thank you for helping to make our event so successful. It has been a pleasure working with Anke and JLA, and I look forward to doing so again. JLA were helpful and professional throughout. It was great to be able to have a pre-event conversation with John which Ian arranged. All in all, great service. Thanks Lisa for all your help with this. 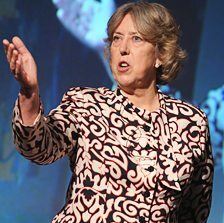 Having JLA supply us with two great, high-profile speakers really helped to ensure our conference was a roaring success. Once again, many thanks for all your help in the run up to this event – you were brilliant as usual despite our constant phone calls. I felt Renate had a really good sense of exactly what I was looking for and took time to ensure the right speaker was completely relevant in a short turnaround. All information was received timely. Completely happy with the service from JLA. Gayle was incredibly professional and attentive and answered all my questions promptly and thoroughly. Because of her I would only think of using JLA as my agency again. She also came down on the night which was really helpful and reassuring.I was very precise on what we wanted and Gayle was very considered in who she offered and was careful to keep within budget as well which was a major factor for us.JLA made the whole experience very easy and straightforward which was important as this was our first year hosting awards and of needing a compere. First rate support and always sympathetic and patient to an ever-changing and evolving brief. We received good/appropriate suggestions for a speaker, particularly in light of changes to our budget. Great support and response times. It was very much appreciated that Gayle attended the on-site rehearsal. JLA are very prompt and professional. They keep to realistic budgets and are not pushy when booking. They have an understanding of the events and the speakers required. It is a fantastic website with very relevant information regarding each speaker. JLA were very supportive in securing Wayne for our Creative Day especially as we changed the date, time and location! All very good, JLA were quick to respond to emails and requests for information, many thanks. The brief was met and Patrick was exactly what we were looking for as we had a tough crowd to please. Danny was professional and helpful from the start. He understood that we were working to a tight time-frame. He did everything that was required, quickly and was a pleasure to work with. JLA provided an excellent service - in both understanding our brief, response times were very good, information provided excellent and in a timely fashion. Logistical support was very good and additional requests handled very well. All very good – having worked with a range of agencies this year and in other years, JLA remain the best we have used and our first port of call.When we had a problem with our original host cancelling, JLA made sure we found a more than adequate substitute. Anke, thank you for your quick reaction last Thursday to the “new situation” that arose when our moderator had to cancel his participation at the Global Green Growth 2010-conference in Copenhagen. You did a fantastic job all the way through. The service from JLA was excellent – they managed to find us someone very appropriate at the right price despite a tight deadline. Fantastic. Very helpful, supportive and accommodating. Arranged all transport and accommodation. Obtained two signed books for LMW which was highly appreciated. Forwarded the presentations in a timely manner. Assisted in arranging conference calls before the event. Excellent delivery of information – kept in constant contact, and provided contact details if needed. Followed up after event to check all went well. Overall, brilliant service. Always available. Always helpful. Would use again. 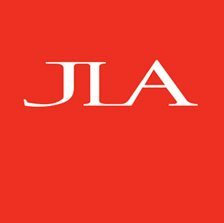 Very pleased with the service provided by JLA – professional, polite & efficient! JLA have been top notch as always – punctual and professional. It’s always a pleasure, never a chore. As always, it has been great working with Jack and Jeremy - I will be in touch in due course for the next one! Your Speakers Breakfast gave us an incredibly rich diet of subject matter –I’ve raved about it to everyone. Thanks so much yesterday for securing Jeremy ON THE DAY OF THE EVENT. Anke, you’re a superstar. Steph was everything you said: professional, easy going, self-deprecating and funny. She was perfect for the event! Audience and client are both very happy – thanks for such an inspired recommendation. Ben and Billie did an fantastic job coordinating everything, managing our expectations and looking after their artists on the day. As a not-for-profit firm we have targets to reach. Ben always works his hardest to get the people we want at the price we can afford. All the deliverables were met – JLA did an excellent job. Flexible, responsive and no drama. Just what we needed. I can’t thank you enough for handling everything with utter professionalism and brilliance. I don’t often use speaker bureaux, but when I have the opportunity you aremy first (and only) telephone call. Nicola and Suzy deserve special mention –working with the JLA team is always a pleasure. From initial contact to pre-event briefing and post-event follow up, I can’t fault the service I received from JLA – it was really comprehensive. Emily is always a star. I have complete faith in her suggestions, she’s so easy to work with and she gets everything sorted well in advance. Simon gave us an honest and excellent service, and turnaround. Thank you –prompt and professional as always. Thanks for all your hard work in the build-up and on the day Anke – and in getting the best speakers year after year! Excellent. The level we have come to expect from JLA. Our JLA agent was extremely helpful and always contactable – she made our lives so much easier. The service was exemplary: Ben went beyond the call of duty to ensure our objectives were met. Even when those objectives moved on a regular basis! The level of service from Barbara at JLA, and her responsiveness to requests, was excellent. Thank you! Thanks for helping make our conference a success. Sarah was absolutely brilliant on site and made things so much easier. Thank you from the bottom of our hearts. JLA (Danny in particular) is proving a really valued partner in our conference and events work. He’s always suggesting new speakers and presenters. Great support from JLA, fantastic service and timely communication – which can’t be easy given the time difference. JLA were very helpful with ideas and assistance, especially considering the short turnaround and timescale of the event. What a great service. The brief was well and truly met, and the entertainment you suggested was excellent. Allan was an absolute star to work with – very responsive and helpful in all aspects. When a speaker pulled out, the way you secured another at short notice and pushed the paperwork through quickly was excellent. Excellent service and great support from planning until conference day! JLA really met the brief, and Emily was available whenever we needed information or support. Fantastic. We were let down by two Government Ministers at the last minute. Ben worked so hard to find replacements that he’s now an official TAF hero!! We wouldn’t use any other agency. I had to rely on JLA’s recommendation and trust them. It worked! JLA Provided a very smooth service with all of our requirements being met and briefings, logistics and times well organised. We were very happy with the overall service from JLA. It was really helpful having Ben Arnold attend the event as he helped make sure Four Screws Loose were ready for their performances; having another pair of hands to help out was certainly beneficial. Excellent. Ben Arnold was there every step of the way. His advice and experience is highly valued by myself and my team. Excellent service - made the whole process of booking very easy and relatively risk free. Nicola from JLA was outstanding, she was on the ball, really nice to speak to and was happy to put up with my sometimes constant and sometimes delayed e-mails, thanks again for all your help and patience! Very good, offered a very suitable range of people for the role which exactly met the briefing we had given. Always a fantastic service from Ben. This is the first time I have also dealt with Georgia and Jack, and both were extremely helpful, professional and efficient. I’m very happy with the service provided by JLA. Very professional and supportive as always. JLA was fantastic – Emily met my needs and was on hand when I needed her. It was a very tight time schedule, but Danny at JLA managed to source a great speaker and someone who we were exactly after. Excellent as always – met the brief perfectly and everything taken care of in good time on the run up to the event. Thanks! We have used JLA to book out speakers for as long as I can remember! 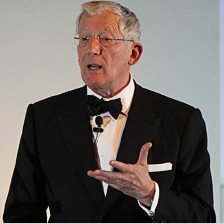 JLA have always managed to secure us a high profile speaker and are a delight to work with. We have worked together so long now that they know our requirements and out audiences inside and out and can be working on the next event days after the last one. I just wanted to thank you so much Sarah for all you did to arrange the artists for the conference. You went above and beyond and I really do appreciate it. 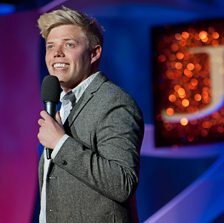 Mark Durden-Smith was recommended by JLA and was perfect, clear proof that they understand the type of event and audience. Excellent service all round. Thorough exploration of brief/requirements obtained. Feedback was requested after each list of suggested speakers offered so as to ensure more targeted suggestions offered. Communication and response time was faultless. Level of persistence and determination to assist us was extraordinary. Emily and Damian did a fantastic job in communicating promptly and effectively on all aspects of the booking. JLA (Paul in Particular) were great. Paul provided us with a wide selection of alternative hosts fitting the brief and budget well. Very efficient and good communication at all stages. Emily and Damian were as always brilliant to work with. They kept me up to date with all aspects involved – I really value our relationship. Very good service provided by JLA. Good tenacity and negotiation by Jeremy. We had a very limited budget, but he helped us to use it to it's fullest. Very good – punctual, speedy to react to my enquiry, helpful when I had queries pre event. Although we have never been through this process before JLA were encouraging, positive and supportive with all possible artists that they presented to us. Whenever a question was asked we received a suitable response in a timely manner. I would personally recommend JLA to anyone else requiring a similar service in future. Service was good – Nicola clearly knew about Sean’s (and others) particular story which was very helpful. Communication was good and quick to respond to queries. Very good – professional and helpful at all times. Although it was a very time consuming and drawn out process with contracts, the staff (especially Emily) were always so unbelievably helpful and a pleasure to work with. They made a complicated process a lot easier with their positive attitude and willingness to find solutions. JLA (Paul) were great, really professional and thorough. Kept in constant contact and left no stone unturned. An absolute pleasure to work with! On JLA, I’d just like to say it’s been a pleasure working with Ben and Georgia. You provided endless names and suggestions, and helped secure some great speakers for us. Thank you so much. I have colleagues looking at securing speakers for other events, and I have recommended JLA to them. I’m sure you’ll hear more from us! I ONLY use JLA for guest speakers and presenters for our events. All of the team are excellent and Danny Lee is outstanding! JLA / Jamie did a fantastic job in suggesting Tori who had fitted the brief perfectly. Communication was excellent throughout and I would highly recommend in future. Big thanks to Emily and Damian for their support with our event over the last few months. We look forward to working with you again in future. Really happy, especially as we needed a speaker at short notice on a very specific topic. Jamie from JLA was very helpful throughout the process from understanding our brief right up until the event date. He was always got back to us very quickly and answered any questions we had. We did actually find Blaire Palmer on another agent’s website but Jamie from JLA provided us with a much better service so we booked through JLA. It was a real pleasure working with JLA. The process for booking a speaker and the response times in terms of questions and queries that we had was excellent. The process was very smooth and easy, one less headache when organising a large event! Jeremy Frewer offers such expert advice and guidance. He totally saved the day when our booked artist was unable to attend due to personal reasons and worked tirelessly to supply a worthy substitute, keeping me informed at every step. Jeremy Frewer provided a fantastic and responsive service and was extremely patient with us as we worked our way through a number of different ideas and recommendations. Emily was as brilliant as ever. It was Emily that recommended Kevin Keegan and I am thrilled that we took her advice! As always, the service was excellent from both Ben and Georgia – much appreciated. Ben, as always, was great to work with. When we had a couple of presenters say they weren’t available Ben worked with us to find the right person for our event. He was always available to talk to when we needed to and made our event feel important. Jamie was excellent. It was a very tough request at very short notice that required a commitment to travel. Jamie’s responsiveness was excellent throughout, very professional. JLA were very professional and efficient through the whole process. A joy to work with as always. Andrew and the team deliver an impressive, charming and efficient service from the brief to the live event. Jamie Curtis did an excellent job at looking after us following our brief we gave him. He followed instruction and organised the speakers to ensure they/we had everything. We enjoyed working with Jamie and look forward to working with him again in the future. We really appreciate how easy it was working with Octavia and Anke on all the logistics, which made it a very smooth process. Both Andrew and Rebecca were very good, very responsive, and excellent at meeting the brief. Paul managed the process from start to finish very professionally and we will definitely contact JLA again when we need a speaker. The service was excellent. JLA (and particularly Rory) were always quick and happy to help, from the briefing call to sharing various bits of information with the artist right up to the event. Excellent as always, which is why we use JLA. JLA were very easy to deal with. Hassle free. Also very responsive to e-mails. The service provided by JLA was great. It was easy to get in contact with Jamie, and information was delivered in a timely manner. Always a pleasure to do business with JLA. I know I’ll always receive a professional delivery and Danny Lee is great. 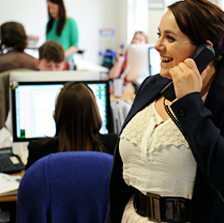 JLA were fantastic as always – no request was too much for Laura – she was always helpful and responded to my numerous queries and requests without hesitation and frustration – despite me pestering her non-stop sometimes! Fantastic customer service.Likewise Oliver was fab in helping recruit the speakers – I had to keep going back and forth as the ultimate decision rested on quite a few internal stakeholder but Oliver was very patient with me and gave me some great suggestions to choose from. Andrew and Rebecca provided fantastic help. Their support and quick response was key in making our event a success and they always aspire to deliver the best service. Paul was spot on! From initial enquiry to finalising the details, a friendly yet very professional service. Following our brief, a strong and varied set of speakers were recommended. After further research, calls with BJ, etc, we knew we had found the speaker we were looking for. A top class service we will no doubt be using again. The service was very good. We were able to secure the speaker at short notice, and there were very helpful interactions between Damian and our director that made things run smoothly. Jamie was great in helping us find an artist after lots of to-ing and fro-ing. He was also great at responding to last minute changes and requests of Helen. I like working with JLA, because it is always smooth and quick response. Special thanks to Jonathan as well. Jamie is always fab – fast responses and a good deal done. The service provided by JLA and Jamie was superb. Throughout the whole process he was constantly in contact and helped us choose the best fit for our event. Everything went as planned and we are extremely happy with the outcome. Excellent, swift service from Danny as always. A pleasure to deal with and extremely helpful. Service was great from start to finish. Very personable and helpful whenever required. The service provided by JLA was excellent. All of our queries were answered promptly and the level of help provided was just right. I found the service that JLA provided was excellent. All my questions/queries were answered in a very efficient manner. I would not hesitate in recommending JLA to others. I will definitely be using their services again. We were on a really tight turnaround, however Simon was great considering the entertainment act we booked was abroad at the time - thank you for being so patient. As always, Ben was really helpful and and a pleasure to work with. I always feel that I am getting his honest opinion and he helps me find the perfect host for our audience. If I can’t get hold of Ben at first he will always get back to me as quickly as possible. Jess was also really helpful getting everything to Alan and Hal on the run-up to the event - it was great to work with both of them. The service we received from JLA was very good. Oliver Shermer and Laura Batey have been very helpful throughout the process and nothing seems to be too much trouble. Justin's presentation went down very well, we've had very good feedback from our audience following his session. Georgia provided a great solution for us and it feels like we worked well together, through the wonders of the Internet – so many thanks to you for that! Great support from Emily Collier and Laura Batey in run up to the event, and really appreciated Emily joining the event and supporting us on the day! Excellent from start to finish. Laura was really friendly, helpful and great at keeping everyone updated. Thank you so much for all your help, you’ve been brilliant! Excellent service, Laura was so reactive to our changing brief and clients’ needs all whilst being extremely friendly and helpful. I loved how she not only offered options, but recommendations and feedback too. Excellent service provided by JLA - Nicola and Paul were very communicative and helpful from the initial engagement right up until the start of the event. We especially appreciated their facilitation of rehearsal calls with both speakers. As always, a first class speaker from a first class agency.